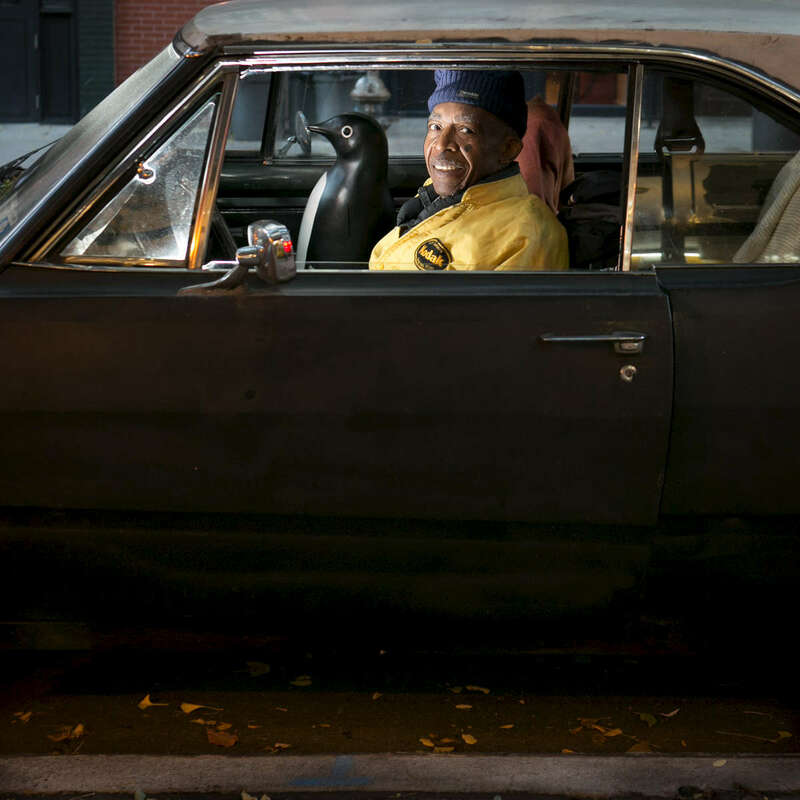 Photographer Alex Harsley sits in his 1968 Dodge dart with his plastic penguin "the navigator" outside The 4th street Photo Gallery which he owns and has run since its opening in 1973. Harsley, who is in his 70's has seen and photographed a ton of new york history including a few years working for the district attorney's office until he was drafted in 1961. These days Harsley shoots with his phone rather than the large format camera he used to use. More of his work can be seen here: http://www.fith-artcollective.jimdo.com/.